I hate to have to give up my Jalop-card, but I can’t keep this secret any longer: before I bought my second, third, fourth, fifth, sixth and seventh Jeeps, there was another vehicle. 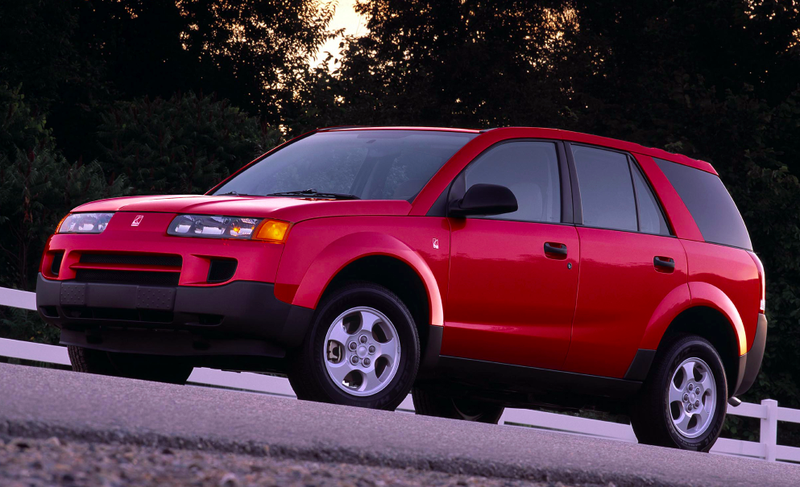 One that I actually cared about quite a bit, but that I’ve remained rather secretive about over the years: a 2005 Saturn Vue. It’s true. After my sophomore year in college in 2011, I took an engineering internship at Cummins in Columbus, Indiana. At the time, I had owned my first car—a 1992 Jeep Cherokee—for less than a year, and since I was still new to the whole “wrenching” game, I wasn’t particularly confident I could get the 215,000-mile burgundy box all the way to Indiana from Charlottesville, Virginia. So my parents, lovely parents that they are, let me borrow their 2005 Saturn Vue—a totally boring car by any calculation, except it had one saving grace: a five-speed. And not just any five-speed, the thing had the Getrag F23 manual, which you might also find mated to a number of transverse-engine four-banger GM products from the early 2000s. It’s a good transmission. It was on this weak little 143-horsepower crossover that I really honed-in on my manual-driving skills. There wasn’t a lot of power to work with, so coming too quickly off the clutch or shifting too early could spell disaster. That summer in Columbus was great; the Saturn took my friends and me hundreds of miles without any issues at all, and for the next few years, GM’s plastic little crossover was a tank. I eventually sold the Saturn three years after that internship when its clutch slave cylinder went bad, and I decided I didn’t want to spend my time dropping the Vue’s transmission when I could spend that time and money on something more interesting. The car looked almost as good as the day it left the lot; the paint and plastic body panels showed no signs of degradation, and the vinyl interior could have withstood an attack from a rogue weedwacker. What’s messed up is that, despite the Saturn having served my family for over 175,000 miles with hardly any mechanical issues, and despite me actually really liking the blue SUV, I don’t have any pictures of it. And I’ve never written about it. Until now. But the Vue deserves so much more than to hide in the shadows of my automotive past. It was a reliable, fuel efficient (27 MPG highway! ), practical and fun-to-drive car for a young kid who enjoyed rowing through his own gears. Sure, technically it’s a boring car. But to me, it’s much more than that.